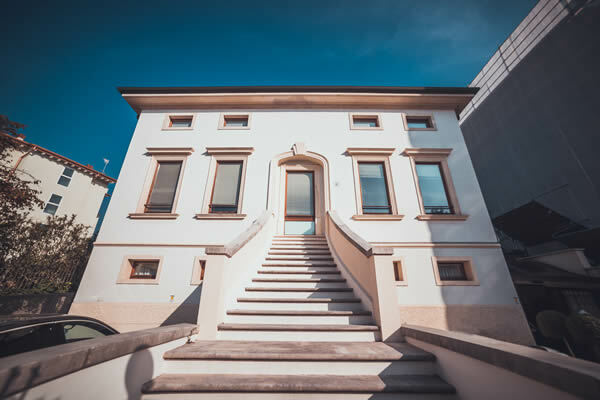 The Clinica San Francesco is an accredited private facility with the Italian National Health Service (SSN – Servizio Sanitario Nazionale), specialized in orthopaedic and traumatology and seat of CORE – Centro di Ortopedia Robotico Europeo (European Centre for Robotic Orthopaedic Surgery). It has got two seats in the town of Verona and can offer its patients a wide range of outpatient services, as specialized visits, aimed diagnostic tests and surgical operations carried out with the most modern and innovative procedures. The Clinica San Francesco provides many diagnostic services, also instrumental, under the system of ordinary or outpatient admission. The Clinic physicians and staff work everyday to reach even higher levels of efficiency and excellence, without ever ignoring the psychological and social needs of patients. The Clinic success is based on the medical formative activity and a continuous update. Here highly qualified specialized physicians and surgeons collaborate with each other. Charter of Services SF_2016 click here to download the Clinica San Francesco’s Charter of Services. obtain the highest possible approval of patients, respecting the specific needs of single patient connected to life habits, values or beliefs. enhance the Clinic human resources developing the health, organizational and managerial culture, and fostering the constant professional update of its staff through formative activities, in reply to detected needs and critical states. The via Monte Ortigara’s seat provides specialized outpatient, diagnostic, rehabilitation, orthopaedic and general surgery. The facility can count on 72 beds for admission and care in ordinary admission or day surgery.